The average fuel economy of trucking companies participating in an annual study conducted by the North American Council for Freight Efficiency improved 2% on a year-over-year basis, the group announced. The 2018 edition of the group’s Annual Fleet Fuel Study determined that the 20 participating fleets averaged 7.28 miles per gallon in 2017, up from 7.14 mpg in 2016. According to NACFE, the participating companies achieved the gains through adoption of a variety of fuel-saving technologies. The group lists 85 technologies that qualify for inclusion, and carriers participating in the study used some or all of them, NACFE said. All of this equipment is commercially available; no prototypes or experimental technologies are included. The report looked specifically at Class 8 daycabs and sleepers in regional and longhaul operations. “Even in a year where freight is really high, there’s a lot pressure to drive fast. There’s a lot of pressure to not be critical of the drivers and their fuel-economy habits,” said NACFE Executive Director Mike Roeth, noting that the group was happy to report an increase despite the confluence of rising demand and an industrywide shortage of drivers. “So, 2% per year — we were pleased with that,” he said. Fleet adoption of equipment to improve fuel efficiency has increased from 17% in 2003 to 44% in 2017, the group noted. “The two things that NACFE sees is: buy as many technologies as you can that helps you with fuel economy — that make sense for your business. Secondly, work with drivers to drive the trucks as efficiently and as well as [they can],” Roeth said. In 2017, NACFE conducted a program with seven fleets called “Run On Less” to promote the performance possible when combining techniques of top drivers with certain fuel-saving equipment. That study found that the right combination of driver technique and equipment could result in a fuel efficiency as high as 10.1 mpg. Robert Braswell, executive director of the Technology & Maintenance Council of American Trucking Associations, said more companies are offering incentives and using new technologies to compel drivers to focus more on fuel efficiency. “We have demonstrated that [the fuel economy difference in] driver technique is 35% between the worst and the best drivers,” he said. Drivers at Las Cruces, N.M.-based Mesilla Valley Transportation compete quarterly and annually for incentives that include new vehicles and a year-end cash award. The carrier is included in the NACFE study. With 1,350 trucks that consume between 1.6 and 1.7 million gallons of fuel a month, Mesilla Valley said it places a priority on running a fuel-efficient operation. For the past 12 years, it has on a quarterly basis given its most fuel-efficient driver either a new car or a motorcycle. At the end of the year, the most fuel-efficient driver gets a $25,000 cash award. Currently, Mesilla Valley employs 1,500 drivers. “When you do run for fuel mileage, get the drivers trained to drive easy, take off easy, stop easy, you’re being that much easier on all of the equipment, the motors to the tires to the drivetrain, the brakes. You’re actually making everything last that much longer,” Mesilla Valley CEO Royal Jones told Transport Topics. He noted that the competition is intense, “You get the wives and the kids questioning the dad, ‘Hey how is your fuel mileage? We need that new car!’ Now he has pressure from the family to win,” Jones said with a laugh. To be eligible, drivers must have been behind the wheel for at least 30,000 miles in the quarter, have perfect logs and no accidents. 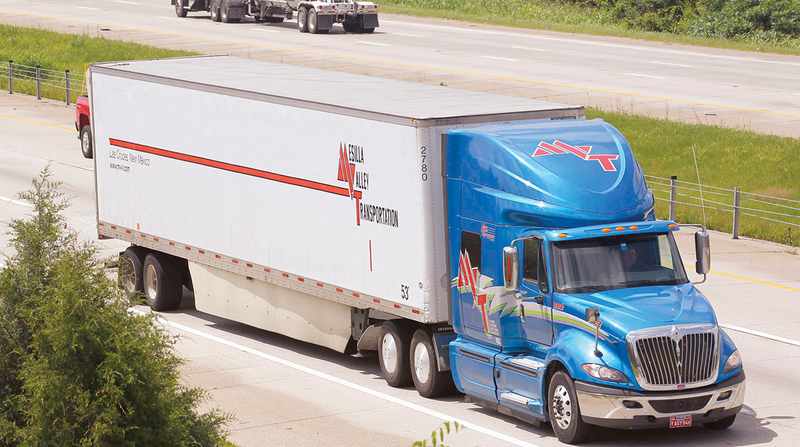 The company also offers monthly bonuses that increase a driver’s per-mile pay. Jones said that in addition to counseling drivers and deploying fuel-saving equipment, the company uses between 5% and 20% biodiesel and keeps idle time to less than 1%. He added that the company also is using analytics that instruct drivers on how much fuel they should need and where it should be purchased, as well as guidance on proper load weights. Mesilla Valley Transportation ranks No. 72 on the Transport Topics Top 100 list of the largest for-hire carriers in North America.